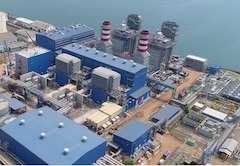 YOKOHAMA, Japan, Aug, 07 2018 - (JCN Newswire) - Mitsubishi Hitachi Power Systems, Ltd. (MHPS) has completed construction of its Unit 2 Gas Turbine Combined Cycle System at the Tanjung Priok Power Plant, a natural-gas-fired power generation facility being built on Java Island in Indonesia. Construction was completed ahead of schedule and went into operation on July 18. Under the "Jawa-2 Project," PT. 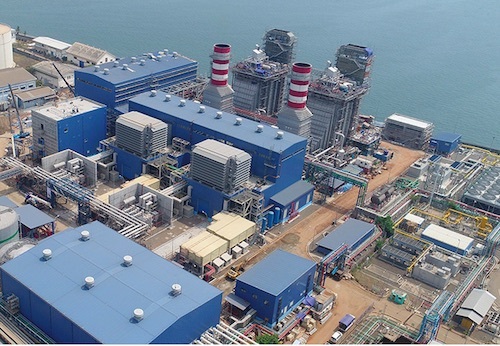 PLN (Persero), Indonesia's state owned electricity provider, plans to build an 880 megawatt (MW) plant comprising of two gas turbine combined cycle (GTCC) power generation systems. Unit 1 initially went into operation as a simple gas turbine system this June with output nearing 300 MW, and now Unit 2 has joined to produce equivalent wattage. Both units were finished ahead of schedule. A ceremony was held at the facility on August 1 to mark the launch of operation of Unit 2. Attending as PLN's representative was Director W.S. Haryanto, who oversees company operations in the provinces of West Java, where the Jawa-2 Project is underway. Also in attendance was MHPS Senior Vice President, Takashi Tozawa. "We greatly appreciate the contribution the Contractor has made to inaugurate the new plant's commercial operation ahead of schedule, and prior to the 18th Asian Games," Mr. Haryanto said. "The Jawa-2 project is important for both the competition and the Java power network." Jawa-2 is a project to construct GTCC power generating facilities in Tanjung Priok, a port city approximately 10 km northeast of central Jakarta. The full-turnkey order for the power plant was received by MHPS in partnership with Mitsubishi Corporation and PT. Wasa Mitra Engineering, a local construction and engineering firm. MHPS is responsible for providing two M701F gas turbines as well as two exhaust heat recovery boilers, one steam turbine, and auxiliary equipment. Mitsubishi Electric Corporation supplied the generators. The launch of operations as a GTCC system, generating power by gas turbine and by a steam turbine utilizing recovered exhaust heat, is slated for 2019. MHPS holds the top market share for large gas turbines in Indonesia, and with the latest system start-up, the total generation capacity of equipment supplied by MHPS for power producers reached 12 GW. MHPS has supported Indonesia's power supply for roughly 50 years, and the company is engaging its total resources in the Jawa-2 Project to enhance customer satisfaction even further. Going forward, MHPS will aim to further enhance its presence within the Indonesian power market. Through expanded adoption of high-efficiency power generation facilities, the company will continue to promote use of low-carbon energies as a way of contributing to protection of the global environment.